I’m trying to paint from life every day to better my eye as well as technique. 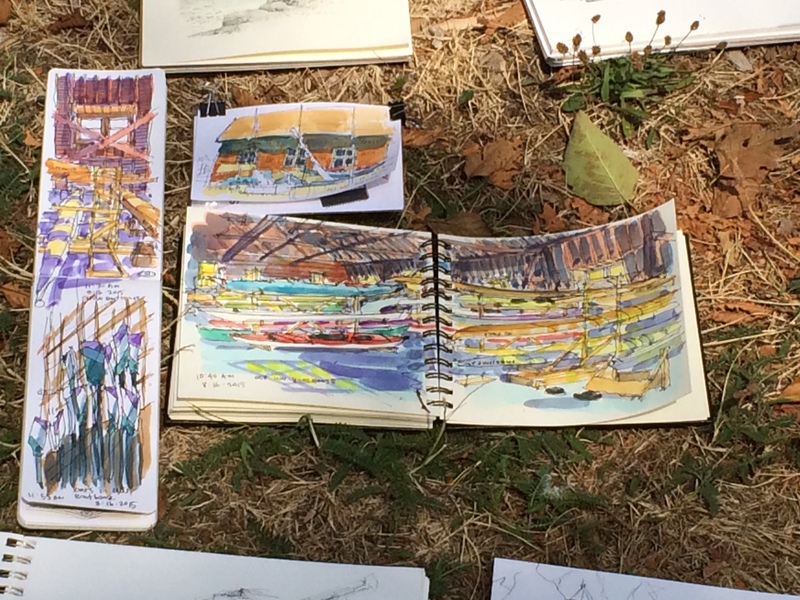 Today I tried out Urban Sketchers – Seattle and I think it’ll be great. They pick some great sites around Seattle and then at the end of the session, there’s a little share. About 20 people of all ages and backgrounds were there. It’s part of a global non-profit organization that encourages people to sketch and paint. There’s no cost to join. Complete beginners are welcome. At the end people put their sketchbooks down for a show and tell. 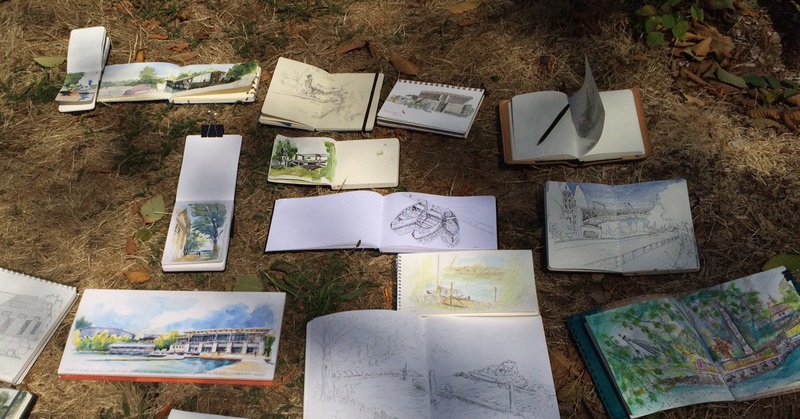 Professionals were sketching alongside amateurs and students. I took a photo of our site before we left. When I got back I was amazed how much photos miss. I understand better why it’s good to paint from life every day. 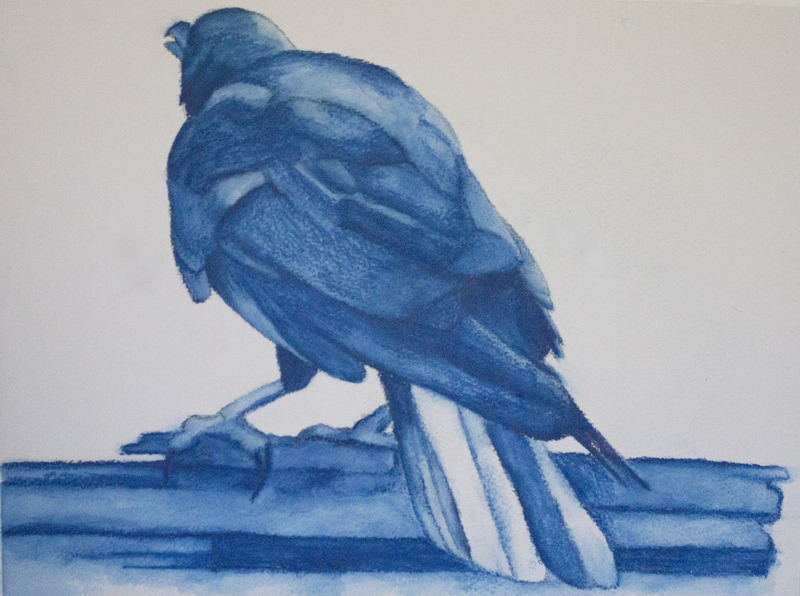 Here’s a crow that I finished this afternoon.There’s a noisy crow family that regularly visit us. I recently got some beautiful Caran d’ache watercolor pencils that I heard about from James Gurney. They are much more pigment-rich than the Derwents that I was using and they’re fantastic combined with Niji water brushes when hiking or painting on the road in plein air. I have a month off before school starts back in September, so I have a chance to do more recreational art and art discovery. 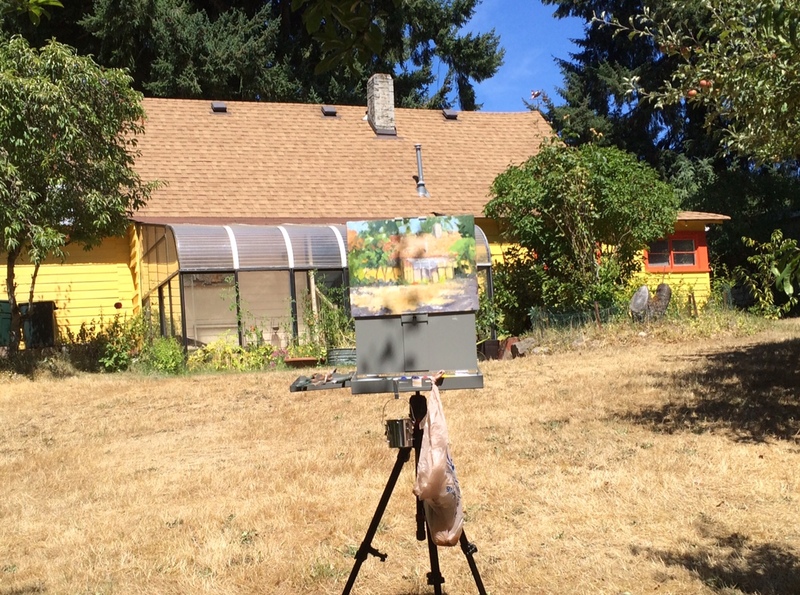 Last week, Eastside / Evergreen Association of Fine Arts had a little painters get-together where some painters did demos of plein air outside, while others painted a model. It was fun.. a real painting party. 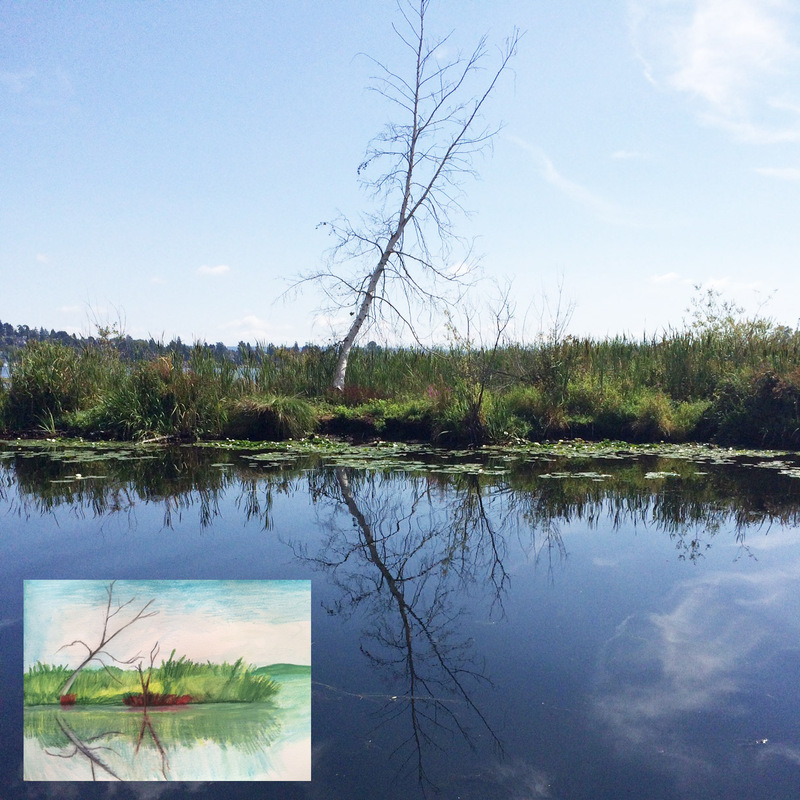 I don’t have anything to show you from this – I’m still getting a handle on landscapes, but here’s Steve Whitney’s little demo. I’m enjoying Mitch Albala’s Landscape book. We also had a surprise visitor out by our pond yesterday. I don’t think he’s just admiring our koi. Fortunately the fish are now too big for him and the fishing line keeps other predators away.